Greendale South is the historic core of the Business Park. It is home to the estate office and some of the Park’s longest-established occupiers. Greendale Central comprises a range of buildings and yards/compounds. It incorporates the fuel pumps and vehicle wash.
LLExeter is the UK’s largest importer and distributer of Chinese motorbikes, scooters and associated parts. Back in January 2008, the then-start-up company occupied Unit 3 and Units 15-18 at Greendale Business Park; it then relocated from Unit 3 to Unit 21, and subsequently expanded to incorporate Units 38a, 38b and 38c. By floor area, LLExeter is the largest tenant at the Park, occupying a total of 68,000 square feet in the Greendale Central zone. Currently employing a staff of 30, the company has a well-deserved reputation for excellent service, winning top prize for Scooter Franchise of the Year 2016 at the British Dealer News Awards, and noted as a runner-up for Motorbike Franchise of the Year 2016. Greendale West is the most recent strategic expansion of the Business Park. It includes a range of buildings, yards/compounds and sites for the development of new buildings. One of the South West’s largest utility companies, R&M Utility & Civil Engineering Services arrived at Greendale Business Park in February 2012. Taking occupation of Compound 38d, R&M then expanded rapidly from a yard with temporary buildings to a new ‘turn-key’ office building and yard, which has recently been extended; Unit 38d comprises 4,800 square feet, with an additional yard (14,000 square feet) in the Greendale Central zone. Greendale East offers a range of larger warehouses and yards. Headquartered at the nearby Sowton Industrial Estate in Exeter, Original Style have been a longstanding occupier at Greendale East where they currently occupy 35,000 sq ft of warehouse space as a satellite storage depot. The business has been manufacturing and distributing tiles in Exeter for over 30 years using a combination of quality raw materials, traditional techniques alongside new technology, and a skilled and dedicated work force. 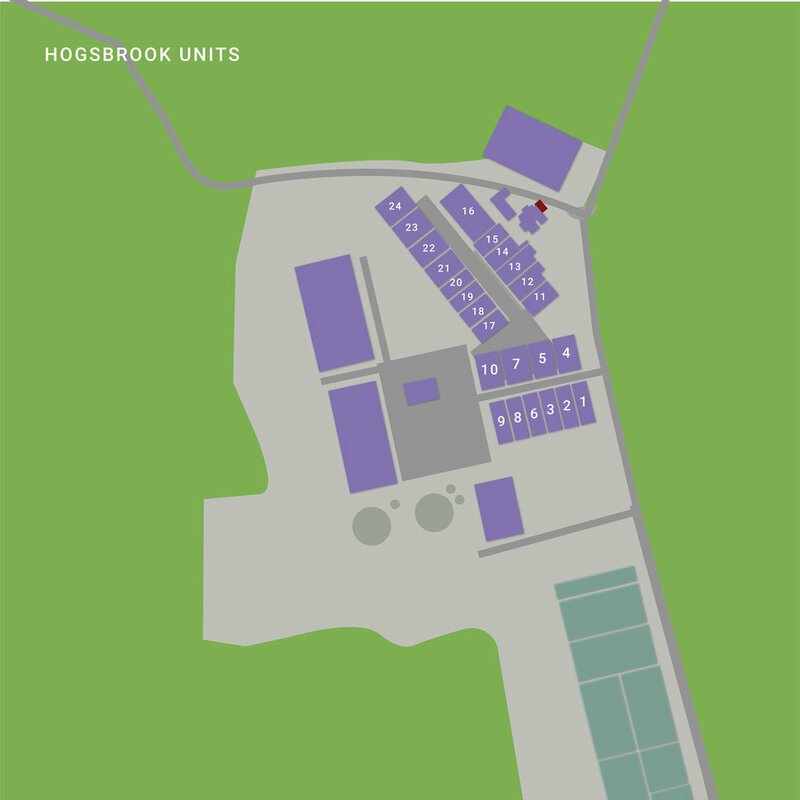 Hogsbrook comprises 23 smaller buildings, most of which are occupied by SMEs. This award-winning micro-brewery began as a start-up business here at Greendale Business Park, in April 2015; comprising 3,000 square feet and located in the Park’s Hogsbrook zone, Unit 10 was provided to meet Powderkeg’s specific requirements. Combining international beer styles with ingredients sourced from around the world, Powderkeg beers are hand-crafted in small batches, naturally carbonated and matured to their best on-site at the brewery.